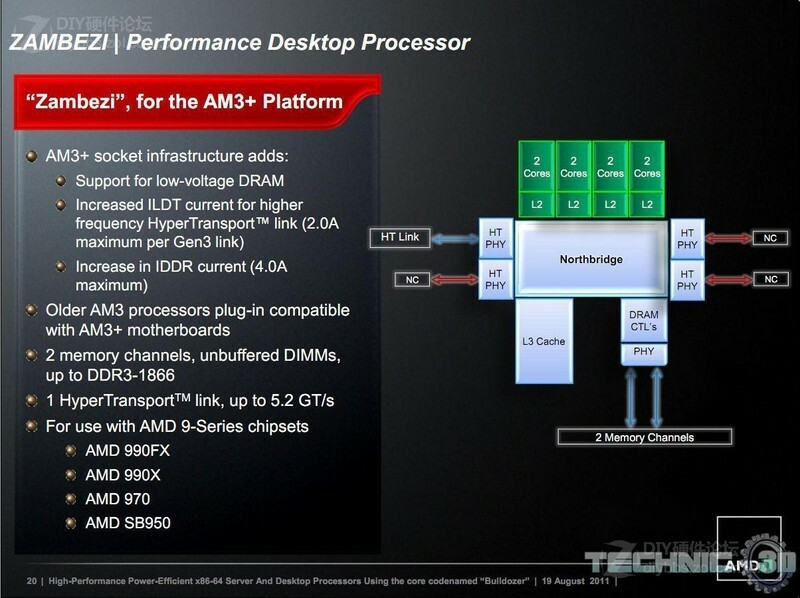 AMD has detailed its Upcoming AM3+ and Bulldozer CPU Platform at this Years Hot Chips event in California. 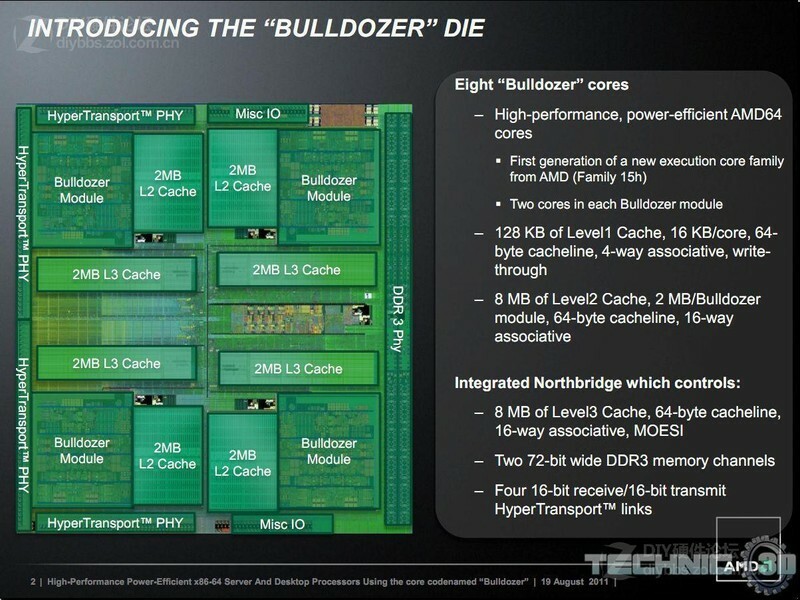 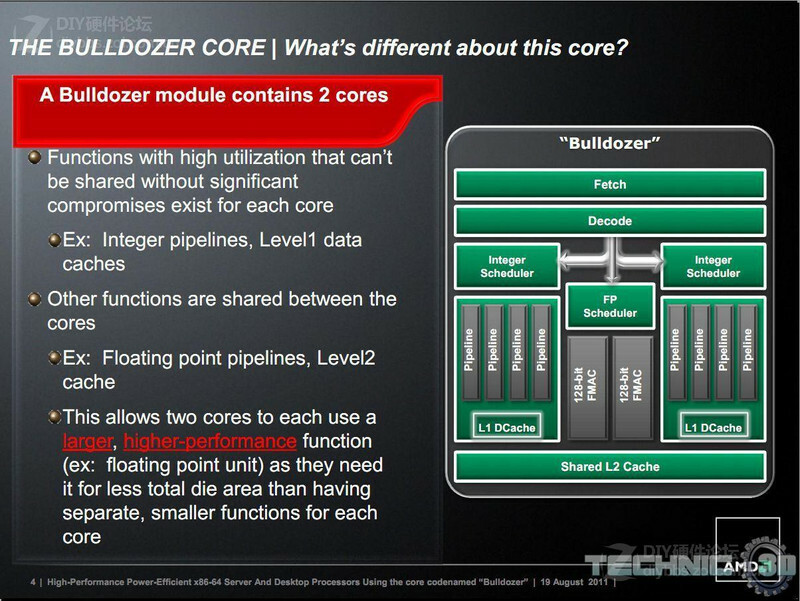 The company showed tons of new slides which provides information on the Bulldozer Core Die, Power Saving and Turbo Core 2.0 features. 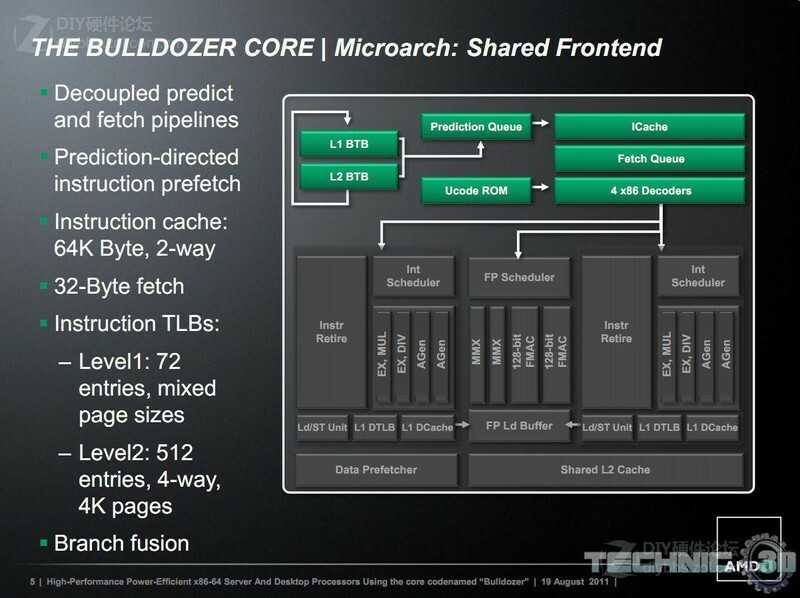 The Zambezi-FX Processors detailed by AMD in the slides was a FX-8150 CPU which consists of Four Bulldozer Modules each consisting of two integer cores plus floating point core. 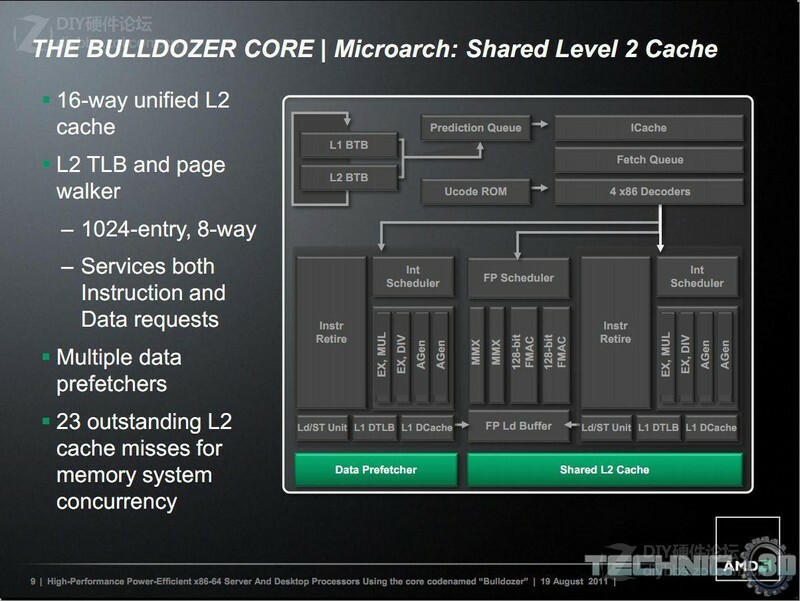 The floating point core works at 256 bit or two 128 bit units which shows Bulldozer would support new AVX instructions, Each Module is connected with 2MB L2 Cache (8MB L2 Total) and 32KB L1 Cache (128 KB total) while the CPU features a total of 8MB L3 Cache and two 72 bit channels are connected to the memory featuring 64-bit data lines and 8-bit error correction. 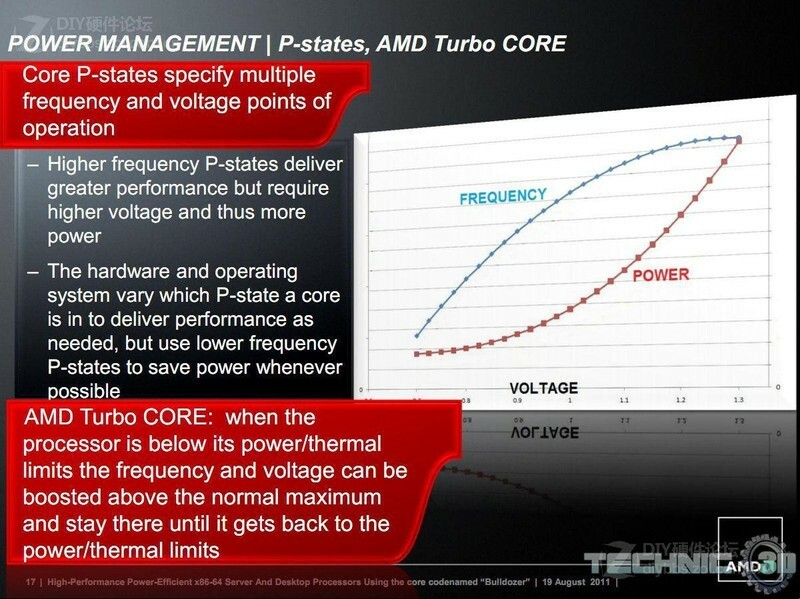 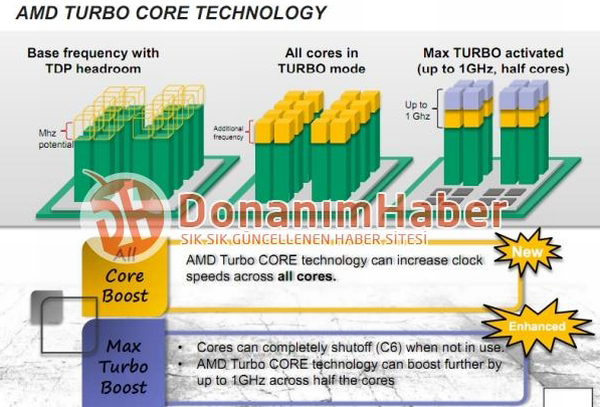 AMD would also implement Turbo Core 2.0 in its Next Gen Bulldozer Cores which allow for max level of performance to be utilized out of the Processors. 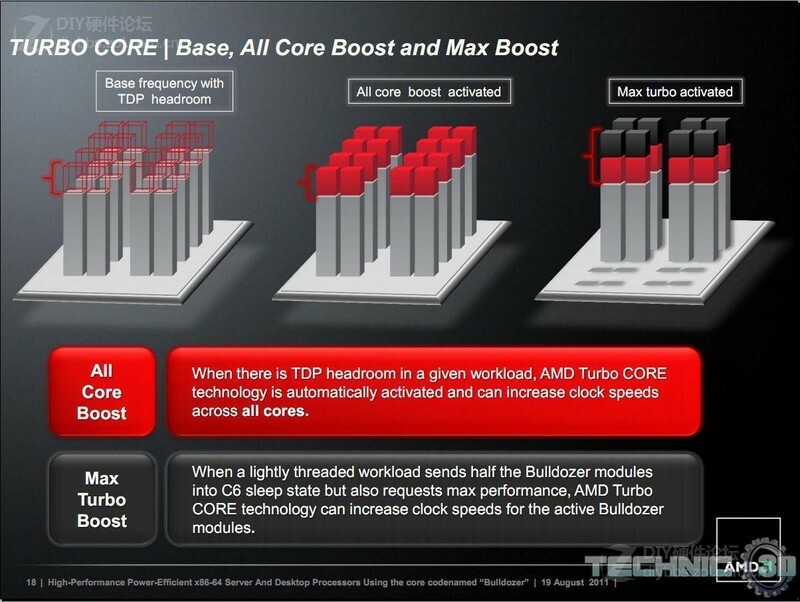 When TDP Headroom is available in a certain workload, All of the Cores would Automatically increase their clock speeds. 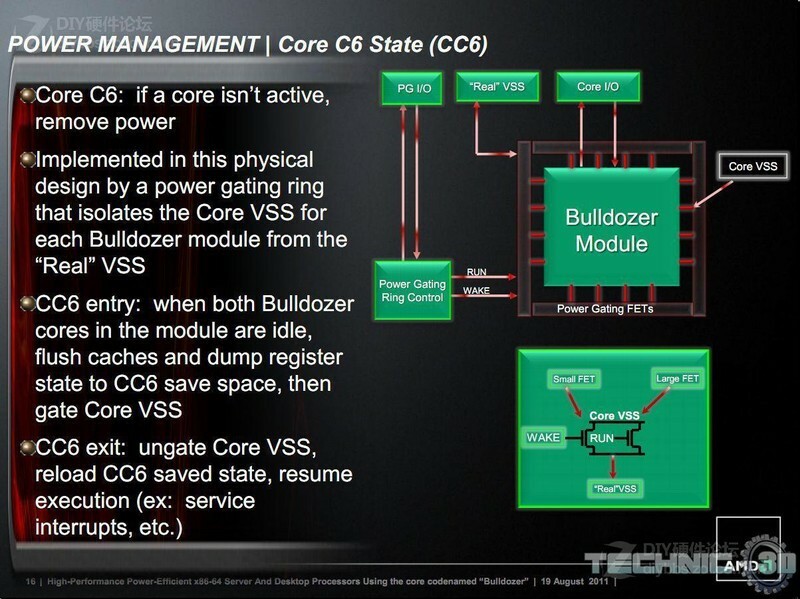 Similarly when C6 Power Saving feature puts Half Bulldozer Cores in Sleep mode during a light threaded workload, The Active Bulldozer Cores can increase their clocks twice as much beyond the normal Turbo Core limit. 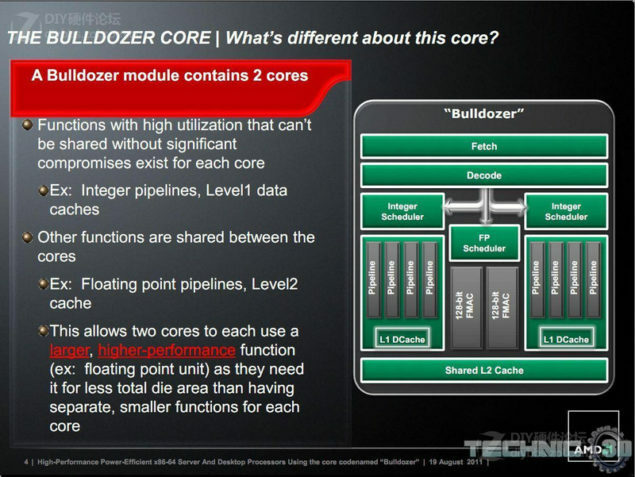 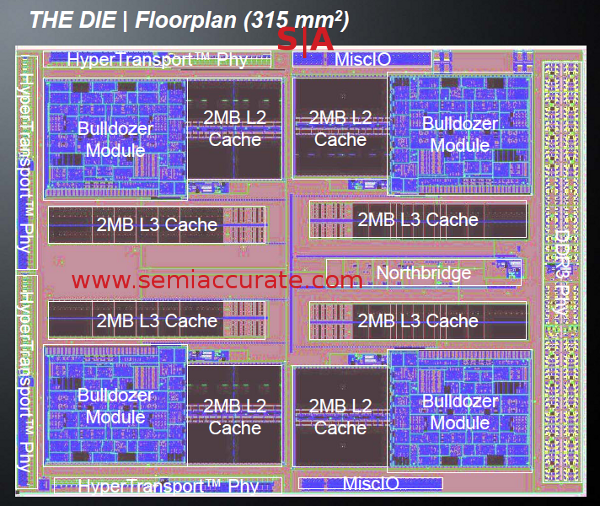 We already detailed AMD’s Bulldozer to feature Turbo Core upto 1Ghz here.